Why Can't I Leave A Smiley Face? Smiley Face is a short memoir that documents my return to America after living in Europe for nearly two years, and how it has gotten increasingly harder to come back to my birth country. 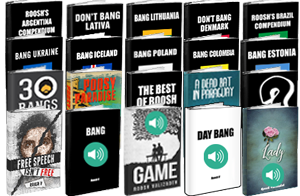 Get my newest masterpiece Game, all of my travel guides, my five memoirs, my two best-selling game books (Bang & Day Bang), my best-of compilation, my book for women, and three game audiobooks in MP3 format. 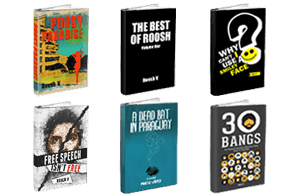 That's 30 hours of recorded narration and 2,593 pages of life-changing content. Save over 80% off the regular price! You get my six most entertaining books that tell the story of my life while giving you crucial dating and life advice that will help you avoid the mistakes I've made to achieve your goals faster.